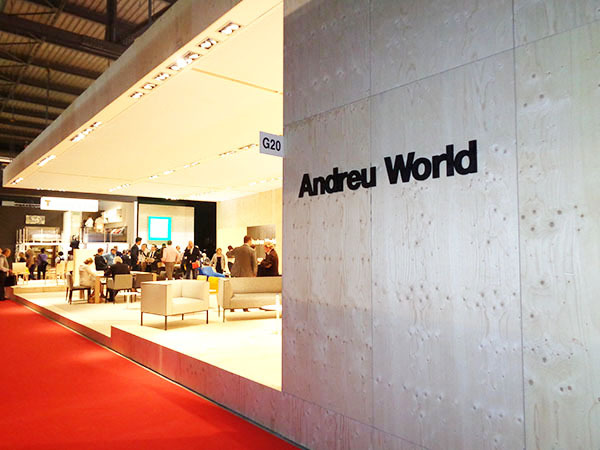 Andreu World’s huge stand of brightly lit wood was stop numero uno. 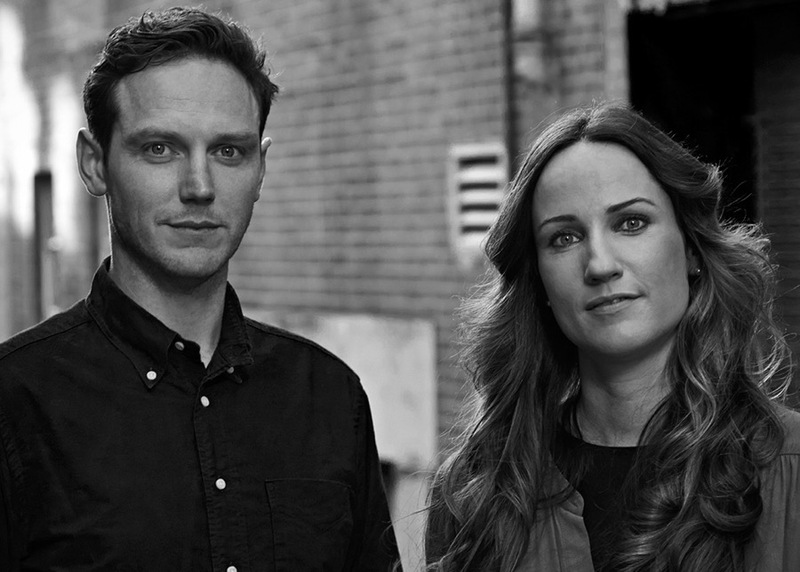 The AW team have been hard at work developing new product and updating their existing catalogue with new materials, dimensions and components. 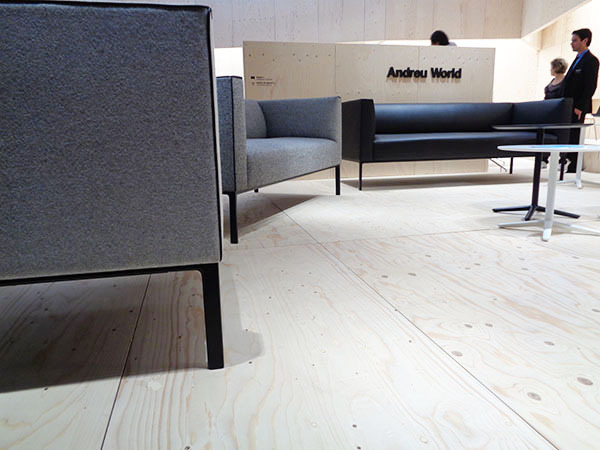 Andreu World is a must see at Salone Milano, and early on visitors knew so. 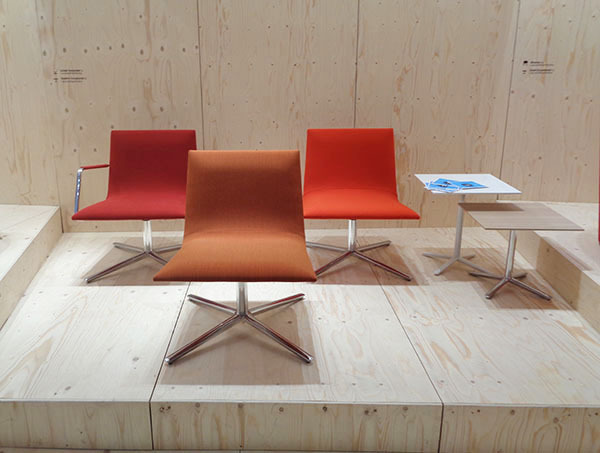 The huge exhibition booth presented new models including On by Jasper Morrison (our conversation with Morrison will hit the blog later today). 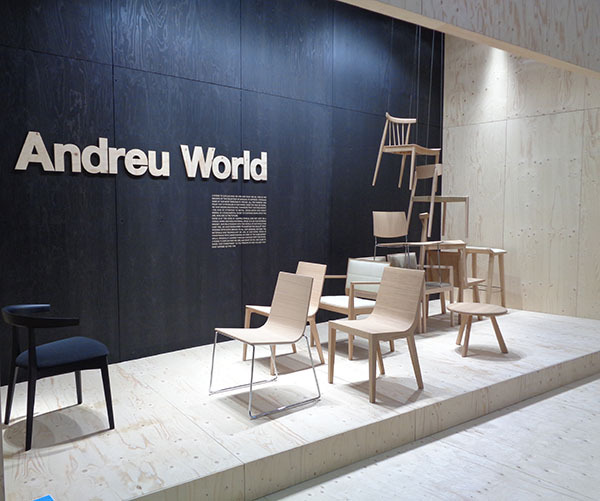 In conversation with Andreu World, we solidified what we always knew about the Spanish manufacturer: they’re pure perfectionists. AW have grown collections with new models (the Nub collection by Patricia Urquiola sees a slimmer dining chair added to the family, a wider model Lineal Corporate and more) and perfecting existing product with modifications, for example Nub’s addition of aluminum legs on swivel models, removing screws for occasional tables adding stability, new technological advances in their swivel and gas lifts etc). 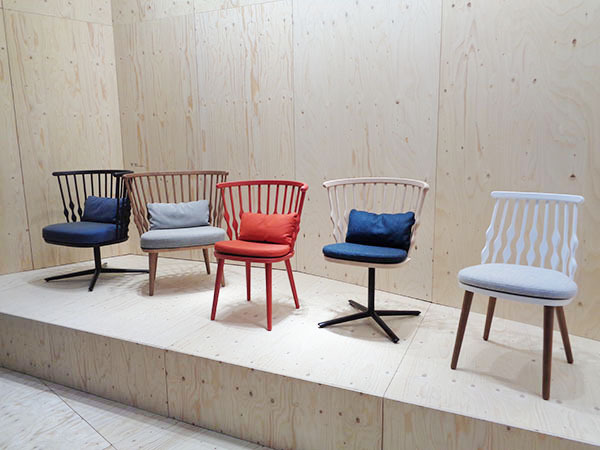 If that wasn’t exciting enough, the chatter from the AW team is that there may be a whole new collection from Patricia Urquiola in the wings – we’ll be sure to keep you posted on the if and when as soon as we hear anything further.